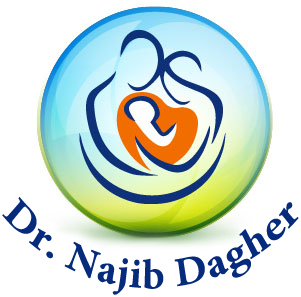 Dr.Najib Dagher in Lebanon at "IVF Lebanon" Hazmieh- Beirut and a member of "Clinica Tambre" in Madrid - Spain as well. I’ll be in contact with you during the whole period of your preparation for the IVF in Lebanon at "IVF Lebanon" or at Clinica Tambre in Madrid Sapin (Fertilisation In Vitro or egg donation or egg freezing ....). You have to be in Lebanon or in Spain on the first day of your menstrual period or a day before, & on the 2nd or 3rd day we start giving you a special treatment (intra muscular or subcutaneous injections) to stimulate the ovaries for about 8 - 10 days. When the size of the eggs will become mature measured by the ultrasound, the egg pickup procedure will be done 36 hours later. On day 3 - 5 after the egg pickup + fertilization by the husband’s sperm, we’ll make the uterine embryo transfer. The wife will need bed rest during 3 days after the uterine embryo transfer. I’ll tell you what to do step by step. You have to stay in Lebanon or Spain for about 2 – 3 weeks in all. The husband has to be for only 1 day to give the sperm on the day of the egg pickup or before if he wants to freeze his sperm for convenience. Or, to make your stay shorter (about 2 weeks), you can start the injections in the country where you live by a vaginal ultrasound on day 2 of the cycle to exclude the presence of any cysts. I’ll send you the prescriptions concerning the name of the injections and the doses and explaining how to use them. You start the ovary stimulation (injections) on day 3 of the cycle for 5 days (day 3, day 4, day 5, day 6, day 7 and on day 8 morning you have to be at our clinic in Beirut – Lebanon or Madrid Spain). This means that you have to be at the clinic on day 6 after the beginning of the treatment, which is day 8 of your menstrual cycle. N.B: All the injections have to be done at the same time each day. We also have special rates with some hotels in Beirut and Madrid. We can book you single or double bed rooms before you come with very good prices. We can also organize your Taxi from the airport to the hotel as well to the clinic. Spain, Madrid, 8 Tambre, Clinica Tambre.